Tough luck: six months after Carlo Sborchia submitted his thesis on "Thermo-mechanical behaviour of fuel rods in case of a loss of coolant accident in Pressurized Water Reactors," Chernobyl's Reactor #4 went up in a cloud of radioactive smoke. As a consequence, Italy decided to halt its four operating nuclear plants and to phase out two projects already well underway. For the young nuclear engineer, job prospects at home looked rather bleak. However, like for many other Italian nuclear engineers Chernobyl was Carlo's luck: while fission energy was becoming a thing of the past in Italy, other ventures elsewhere could make use of his skills. For Carlo of course, this meant leaving his native Tuscany— something which, with the exception of a couple of trips to Rome, he had never done in his life. 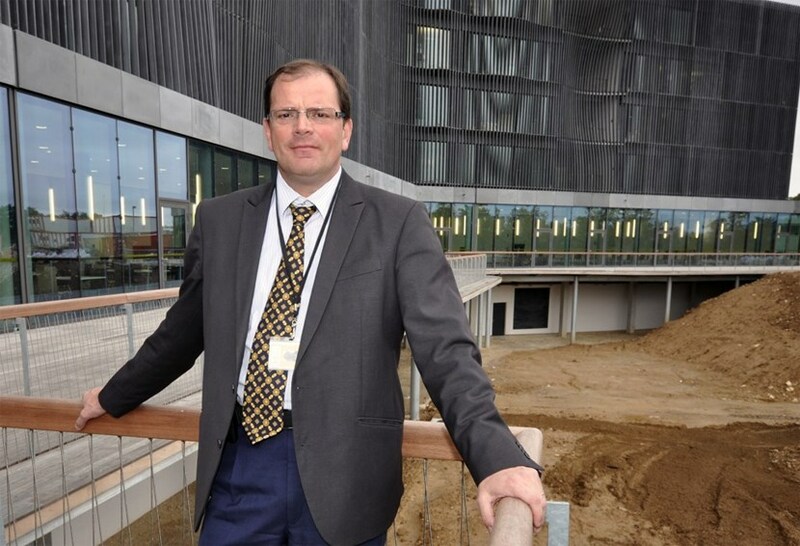 Carlo Sborchia was recently appointed head of the ITER Vacuum Vessel Division. A ''magnet man'' for the best part of his career, he's going back to his original calling, nuclear engineering. As if to compensate for the 26 years he had spent in and near Piombino, the small town that faces the island of Elba (of Napoleonic fame), Carlo commenced a nomad's existence in 1986, never to come back to Italy: CERN first, then one and a half years at the Sultan group in PSI Villigen, Switzerland and a first encounter with fusion through the NET project; five years at JET as a structural analyst, where he was recruited by Euratom; six and a half years with the ITER joint central team at Naka in Japan, then with EFDA in Garching, Germany; two and a half years in Greifswald as Head of the Superconducting Group of the Wendelstein 7-X stellarator; a first one-year stint at ITER in Cadarache in 2007; followed by five years with Fusion for Energy in Barcelona as Head of the Magnet Group, responsible for 25 percent of the ITER magnet system procurement. Over the course of his peregrinations—almost three decades' worth—the young engineer who specialized originally in structural analysis graduated along the way to become an expert in magnets, accumulating experience in mockup design and manufacturing, procurement management, installation and, perhaps most important of all, learning to drive and motivate a team in times of success and in times of crisis. 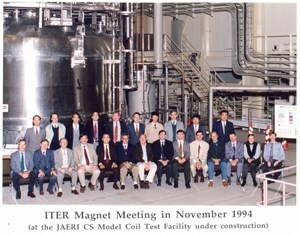 The ITER Magnet Meeting at JAERI 18 years ago. First row: fourth from left Peter Titus (PPPL); Hiroshi Tsuji (JAERI Superconducting Lab); Bruce Montgomery (MIT Division Head); Ettore Salpietro (Magnet Group Leader in EFDA); Carlo Sborchia. Second and third after Carlo are Pietro Barabaschi (Broader Approach Head at F4E) and Cees Jong (Magnet structural engineer at IO). Second row from left: Neil Mitchell (IO), Kiyoshi Okuno (JA-DA), and (last person on the right) Kiyoshi Yoshida (JT-60SA Magnet Manager). Carlo's story is a perfect illustration of what the "worldwide fusion family" is all about: the recently appointed head of the ITER Vacuum Vessel Division has worked with most of the people that are part of ITER today, people who were his neighbours, colleagues and friends in Culham, Naka, Garching or Greifswald. 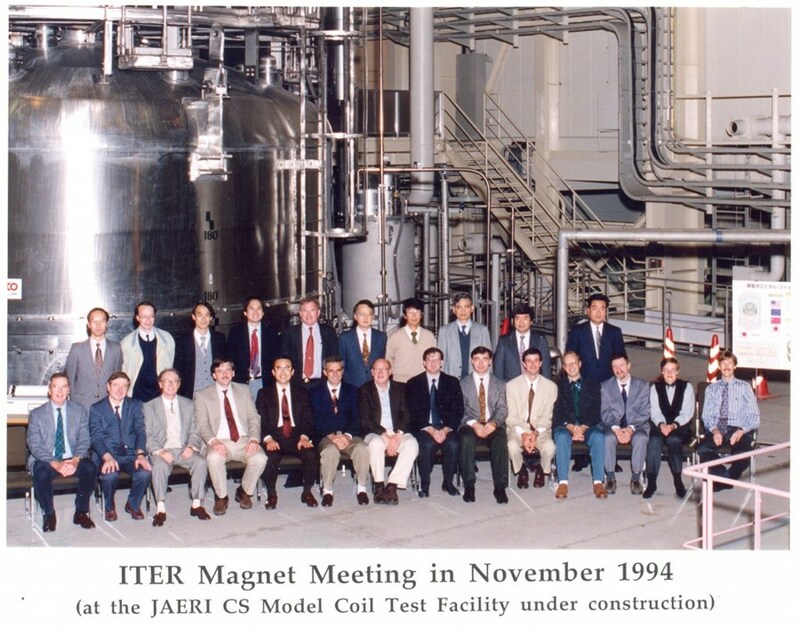 How will a "magnet man" deal with the complex issues facing the ITER vacuum vessel? "A vacuum vessel is not a foreign object to me," explains Carlo. "I've actually spent six months inside JET's vacuum vessel—not many people have had that experience. Sure, I've been a 'magnet man' for the best part of my career but, in reality, by taking on this responsibility at ITER I'm going back to my original calling which is nuclear engineering. A vacuum vessel is about just that: structure, welding, loads ..."
Although he talks fast and at length, Carlo knows the importance of listening. "I've been here three days," he said last week, "and what I basically did during that time was listen. You can't motivate your people if you don't listen to them, if you're not present, if you don't develop a personal relationship with them. And in the years to come, we'll need a highly motivated team to tackle the technical challenges ahead."